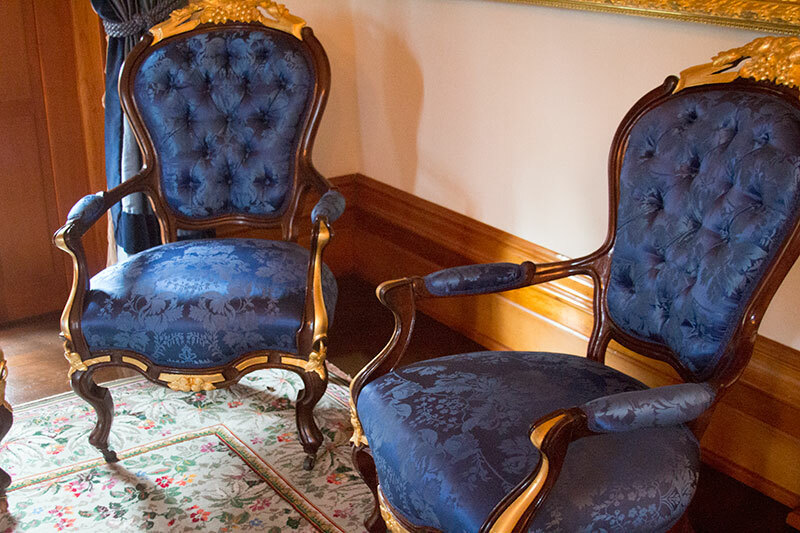 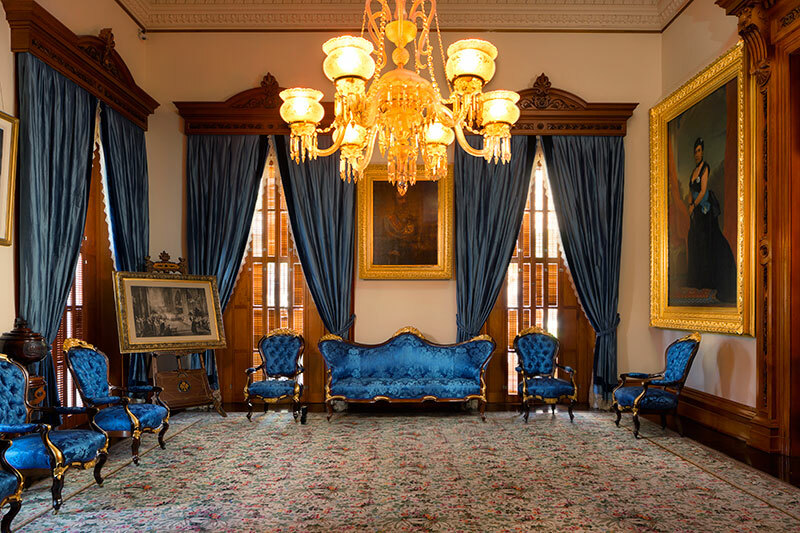 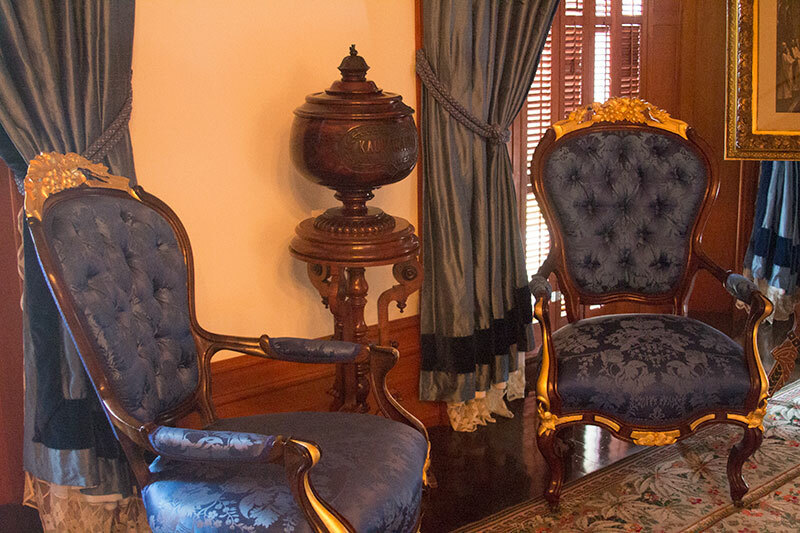 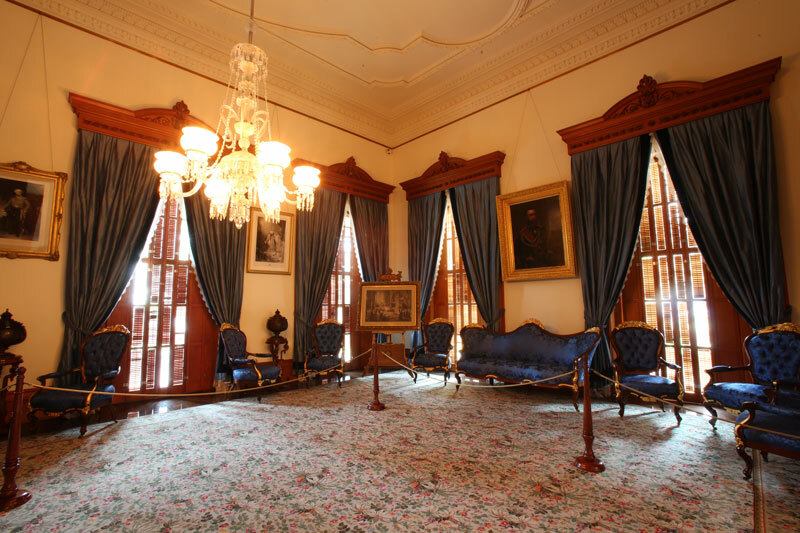 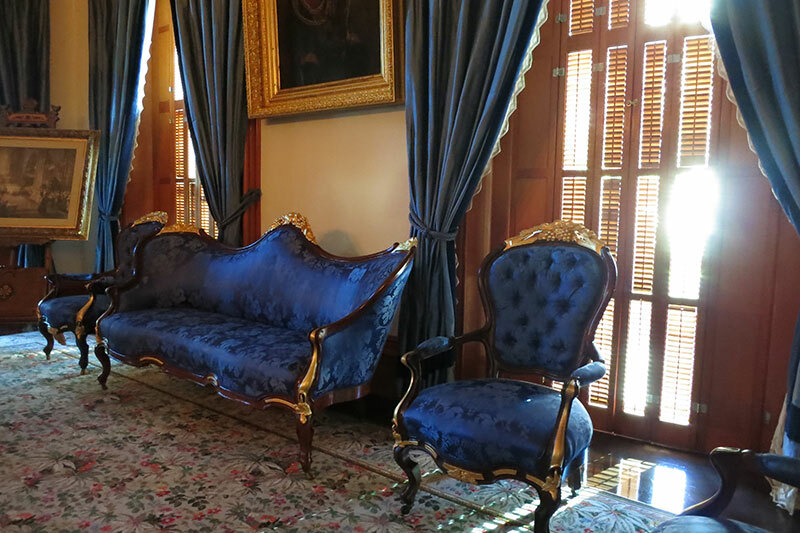 The Blue Room is located across the hall from the Throne Room and was used for informal audiences and smaller receptions. 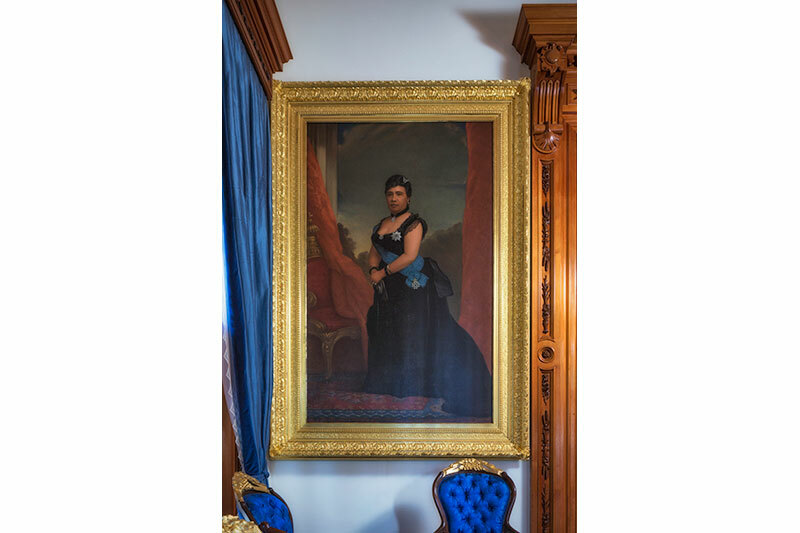 Matching portraits of King Kalakaua and Queen Liliuokalani, painted by noted American portraitist William Cogswell, decorate the walls along with royal portraits of other monarchs whom were considered allies of Hawaii. 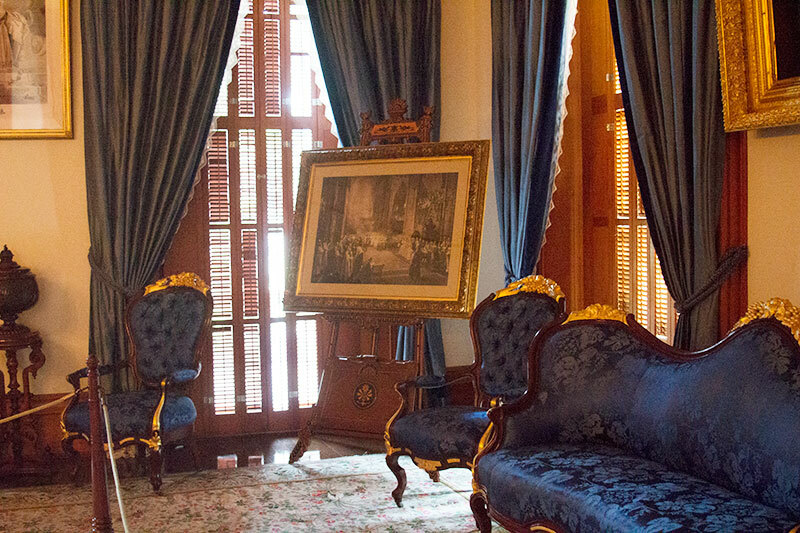 Of the most prominent furnishings in the room is a koa wood piano, where Liliuokalani would play her compositions for guests.